Join PSC members as we march and rally in solidarity with IBEW Local 3 cable workers as they fight for a new contract. Unions from across the city are supporting the cable workers who have been on strike for six months, fighting against Charter/Spectrum Communications’ efforts to stop paying into workers’ pension and benefit funds. 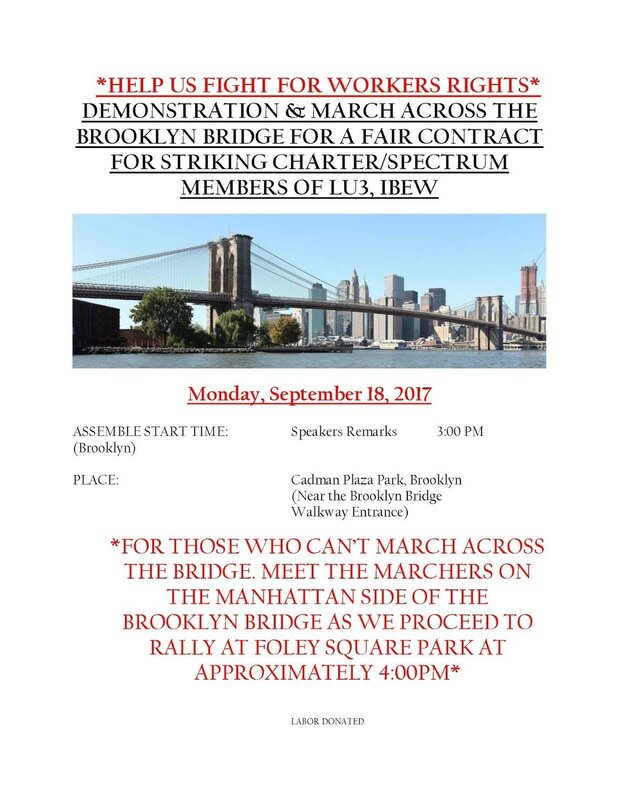 The march starts at 3 PM Monday in Brooklyn at Cadman Plaza Park (near the Brooklyn Bridge walkway entrance). The rally at Foley Square begins at about 4 PM. Download a flier.